Did you Know that W&M Basketball Used to Play in Blow Hall? Throughout W&M Basketball’s 100+ year history, the team has played in surprisingly few home venues. Perhaps it’s due to a strong sense of tradition. Perhaps it’s due to a relative lack of funding. But any way you look at it, Williamsburg is not only home to an historic college, but it’s also home to a rich history of collegiate athletics. How rich? Rich enough for us to look back at old black and white photos depicting a time that has long since past. “Blow Memorial Hall was constructed between 1923 and 1925 following a gift to William & Mary from Mrs. Adele Matthiessen Blow in memory of her husband, Captain George Preston Blow, U.S. Navy. The building was referred to as Blow Gym at this time. While Captain Blow did not attended William &Mary, his father, grandfather, and other family members were alumni, and his grandfather also served on the Board of Visitors. Dramatic growth of the student body during the 1920s and 1930s had made more and larger athletic facilities a necessity soon after the completion of the Blow Gym in 1925. Originally T-shaped, it was substantially enlarged by the addition of a south wing in 1940. Blow Gym remained the home of men’s basketball until William & Mary Hall hosted its first games in December 1970. From the 1970s until the opening of the Recreation Center, Blow Gym continued to serve as a much-needed recreation center for students, faculty and staff. Interestingly enough, W&M also played games at Norfolk Municipal Auditorium during this era, which served as an alternate home for the Green and Gold. The Tribe would play one or two home games a year at the Auditorium, which was a 5,200 seat multi-purpose arena that opened in May 1943. However, the building began to fade with the official opening of Norfolk Scope Arena in 1971 (former home of ODU basketball, and current home of the ECHL’s Norfolk Admirals). William & Mary stopped playing games in Norfolk around this time, as the team transitioned to its newly opened Kaplan Arena. The old Norfolk Municipal Auditorium remains standing today, but now serves as storage and administrative space for the Harrison Opera House. The more you know! As we’ve noted in this article, which outlines W&M Tribe Athletics’ “10-Year Plan,” there are big plans for Kaplan Arena. A stadium that has certainly seen better days is more than due for a facelift, and the 2015 10-Year memo released by W&M was a big step toward correcting that fact. Below are the details that William & Mary released around the Tribe’s soon-to-be renovated home. 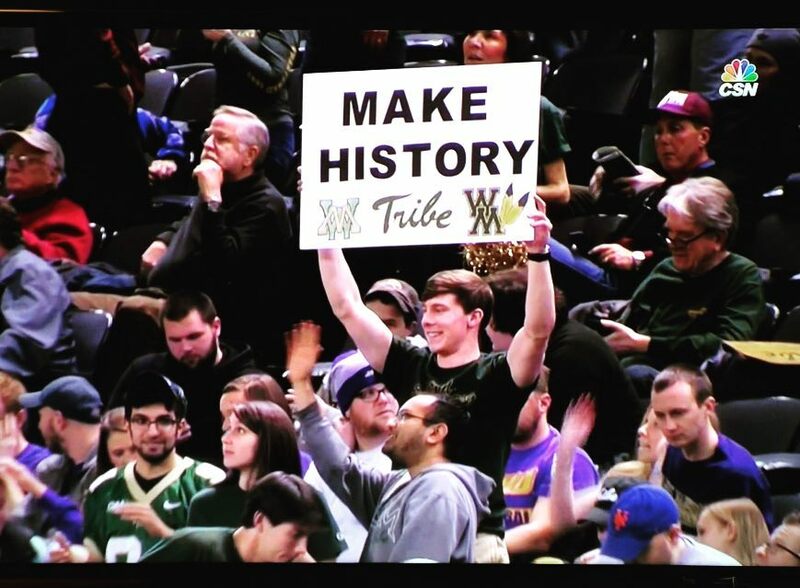 So as you can see, Tribe fans have plenty of reason to be excited about the future of William & Mary’s basketball. The team has come a long way since Blow Gymnasium in the ’20s, and we can’t wait to see what this program can do with a brand new (or fully renovated) facility in the years to come.